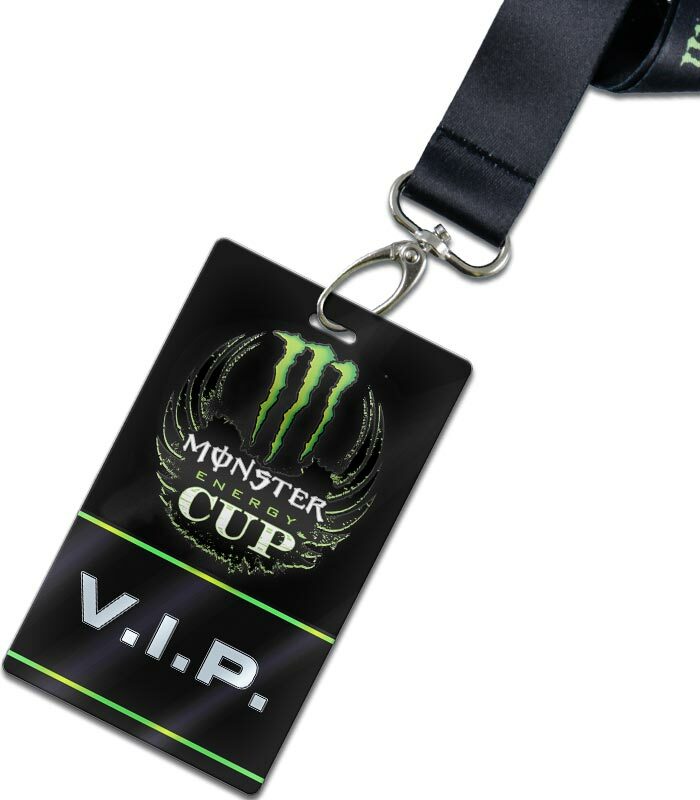 Get in your full Saturday of Monster Energy Cup, starting with VIP Parking, full access to the pits and paddock, track walk, Race Team hauler tour, bag of merchandise, and meal and non-alcoholic drink voucher. Then, when the evening show starts, you will have access to the Inside Track® viewing area on the stadium floor. Entry and exit from the Inside Track is open from 5:00 pm until the end of the event, so you can come and go from your seat any time! The Inside Track® is designed to put fans as close to the action as possible and, in Vegas, it comes with a party. You will have come and go access to the Inside Track® party from 5:00 pm until the end of the event, so you can watch from your stadium seat or from the Inside Track. This area is limited and exclusive to purchasers and VIP’s. Access includes complimentary light snacks, soda and water and access to a cash bar. Plus, enjoy access to the VIP only Pit Party Lounge during the pit party before the event! 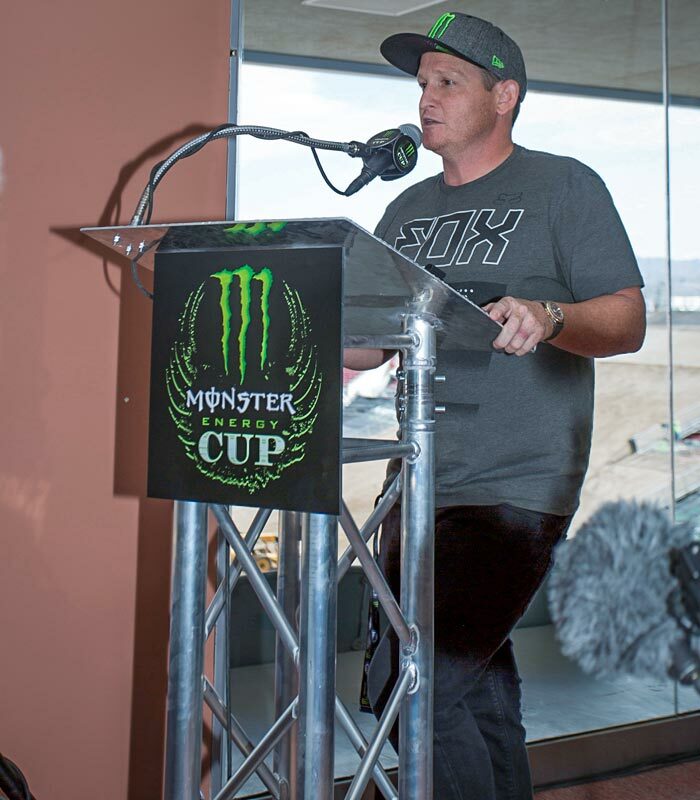 One of the highlights of attending Monster Energy Cup is opening ceremonies. This is an amazing VIP experience and one of our most popular. You will be escorted to the main stage area for opening ceremonies where you will be right in the middle of rider introductions! Then, you will get to stay on the track to watch the first race of the night before returning to your seat. The ultimate pre-race access! 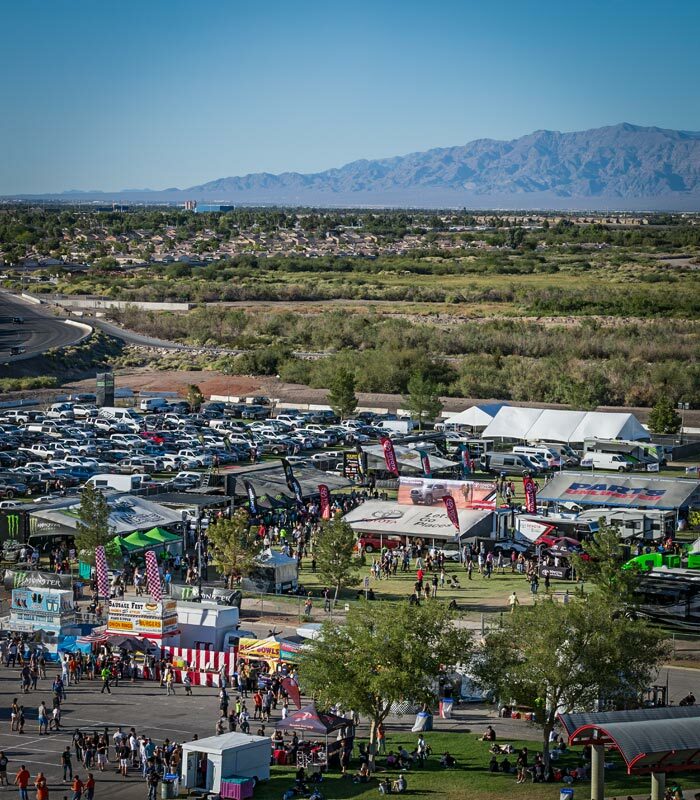 This is the ultimate way to upgrade your weekend experience at the Monster Energy Cup. First you will have rare special access to watch the Friday “press ride”, where 20 riders take a few laps for the press to film. 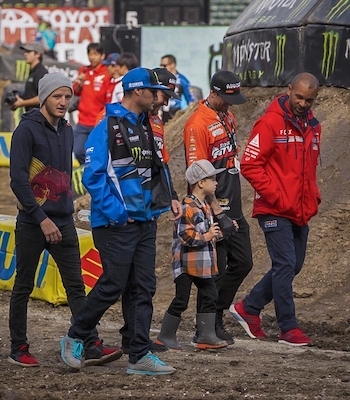 After the press ride, Ricky Carmichael will lead you on a private track walk with a look at how the prestigious MEC track is designed and built. After the track walk you will get to visit a factory team hauler for a tour and rider meet and greet. To top it all off, you will get special access to the VIP Pit Party Lounge on Saturday. Upgrade your ticket to have press box access throughout the evening race program. This area is reserved primarily for former racers, industry, celebrities, and very special guests. The area is accessible via elevator and includes a reserved seat, access to a full cash bar and light snacks. There are only 10 seats available for this VIP experience. Enjoy the pit party in style with this VIP comfort and convenience package. Your package includes VIP parking, access to the pit area during the Party in the Pits and a meal voucher. Plus, you can hang out in the VIP only, air-conditioned Pit Party Lounge, where you can relax, charge your phone, play video games and more! 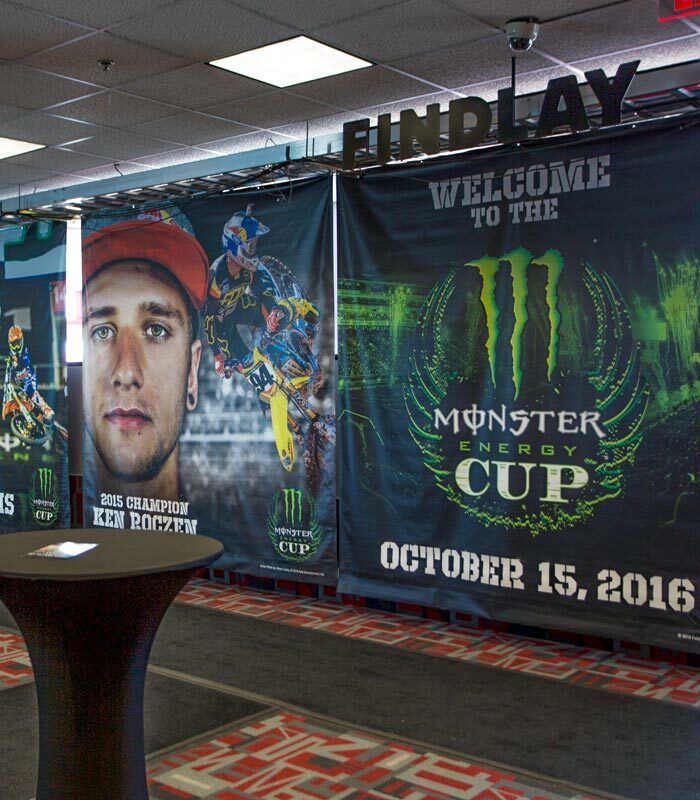 Put your personal message on the venue message board at the Monster Energy Cup!! This is your chance to wish someone a Happy Birthday, pop the question, say thanks to a special someone or display a personal message you want everyone to see. This is great and unique way to see your message in lights! 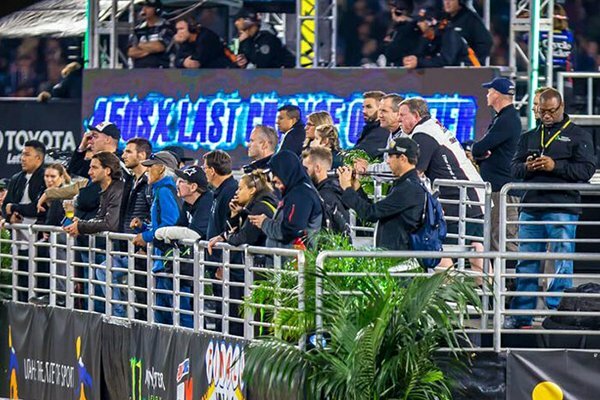 This is an ultimate up-close experience of the Monster Energy Cup race track. 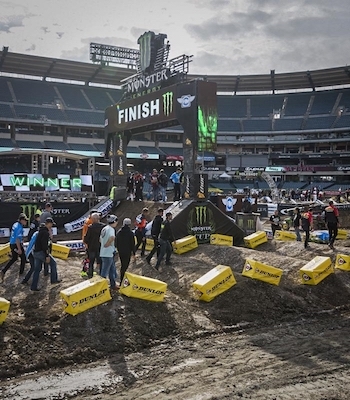 Literally walk the track and see the massive and complex obstacles that challenge the best riders in the world. Your track tour includes lots of opportunities to take pictures and get an unprecedented view of the race surface. This package is limited to just 50 people. This experience occurs at the halfway point of practice and timed qualifying. 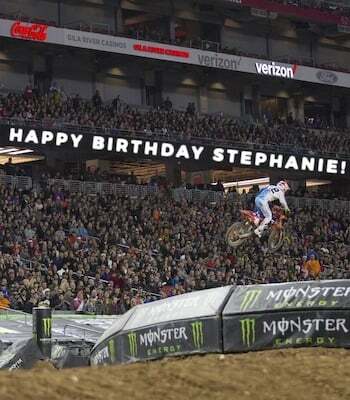 This is an ultimate up-close experience of the Monster Energy Cup race track. 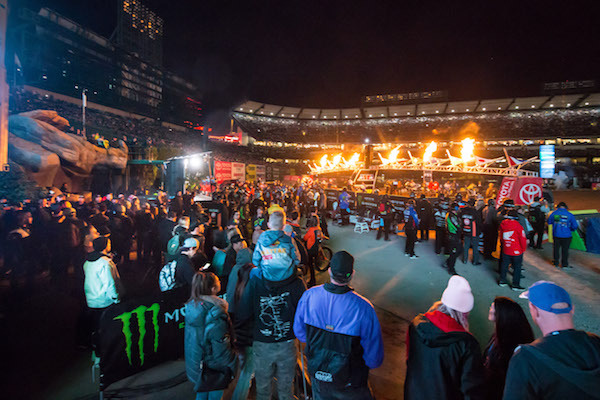 Literally walk the track and see the massive and complex obstacles that challenge the best riders in the world. Your track tour includes lots of opportunities to take pictures and get an unprecedented view of the race surface. This package is limited to just 50 people. This experience occurs after qualifying and before the evening race program begins.